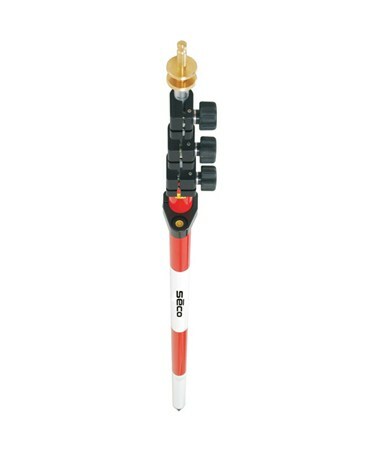 The Seco 15.25-Foot Swiss-Style Prism Pole 5503-30 allows surveying professionals to mount GPH1-type prisms. It features dual graduations in feet, tenths, and hundredths of a foot and centimeters along with a 1.50-inch diameter and three adjustable red and white sections. This prism pole extends to 15.25 feet and collapses to 5.41 feet. And you can secure the length you need with its soft, rubber, twist knob locks. 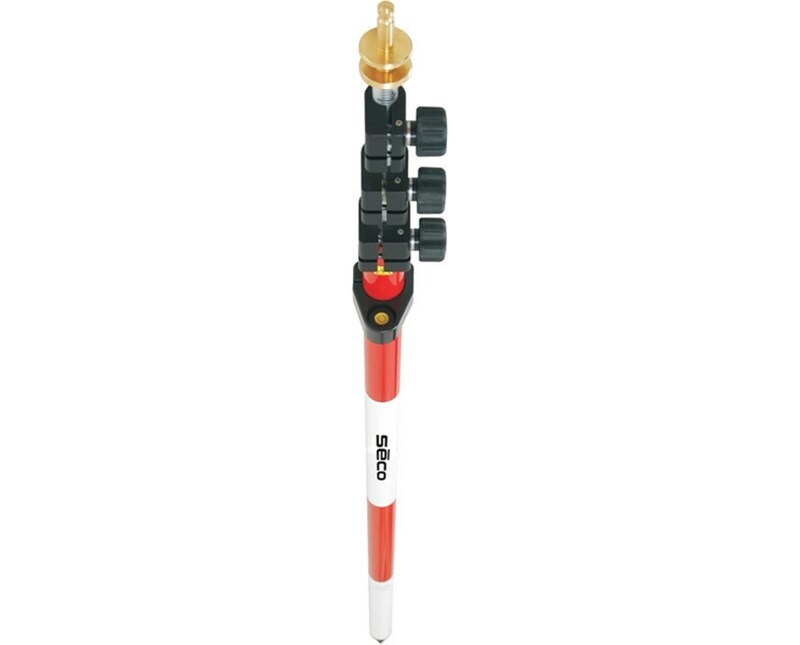 It also has a Swiss-style tip and built-in level vial with 40-minute sensitivity. This aluminum prism pole is wear-resistant and weighs 7.60 pounds.